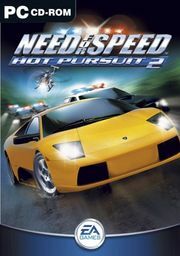 Staying true to its heritage, Hot Pursuit 2 houses a stable of exclusive, exotic cars from the world's most coveted licensors including Ferrari, Porsche, and Lamborghini. Different car modelling and versions of cars. Different tracks, and large differences in track design. Different physics model and handling characteristics. Different menu system and in-game HUD interface. Different features, such as the PS2 'Zone Camera' system.